Q1 How much does it cost? The cost is uniform . I is based on the standard price list of Yamaguchi wrecker. Q2 Late at night , can I support even early in the morning? Yes, you can Yamaguchi wrecker, will support 24 hours a day, 365 days a year . Please leave it in peace. Q3 Service Staff Are You what ? The service staff of Yamaguchi wrecker , wrecker professional staff with many years of service has worked . It is a database service experienced staff that can support course work experience , also steep tow truck difficult situation and correspondence. Q4 Is it also available far ? 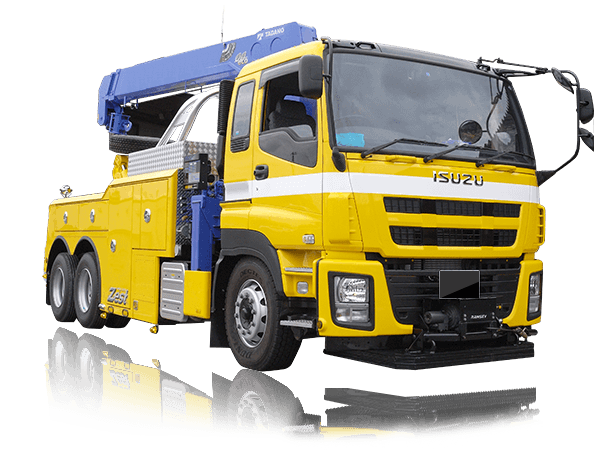 Yes, you can support and first aid in the field so that it can be , it is equipped with the equipment that can be first aid to the tow truck wrecker of Yamaguchi. Q6 Size okay to how much ?